Whereas most modern thinkers of agnosticism tend to look for the locus of non-religious meaning in art – see Alain de Botton, among others – Wright choses two issues which we twenty-first century folk typically struggle with: the breakup of a relationship and the loss of a home. Drawing on his own experience of divorce and concomitant move from his beloved landscape of Norfolk, he illustrates how loss and uncertainty are bound up with the birth of new life and creation of new meanings. It’s an argument by analogy: as in human life, so in the experience of the divine. As an exercise in experiential theology on similar territory to The Secret Life of God, I found plenty to enjoy and agree with. But, for me, the main interest of the book lies in what it says about the direction of contemporary non-fiction. Part academic essay, part memoir, and with some sections of beautiful nature writing, Exploring Doubt is an example of a trend that has blossomed over the last decade of books crossing conventional genre boundaries. The best examples of this genre-weaving non-fiction take a ‘home genre’ such as travel (The Hare With Amber Eyes), or a starting subject such as gardening (The Morville Hours), and work out from there, expanding to include other styles and subjects to create a read that is more than the sum of its parts. The result is the emergence of a capacious form of non-fiction eminently suited to exploring modern meaning-making: a diverse, evolving field that spans human relationships, nature, self-actualization and spiritual growth, articulating them from different perspectives and in different ways. This blend of thought and lived experience is what traditionally defined the essay, a form which has, since its heyday, been sieved through the specialisms that confine books to specific categories and spurred into narrative by the popularity of the novel and is now undergoing a creative renaissance. 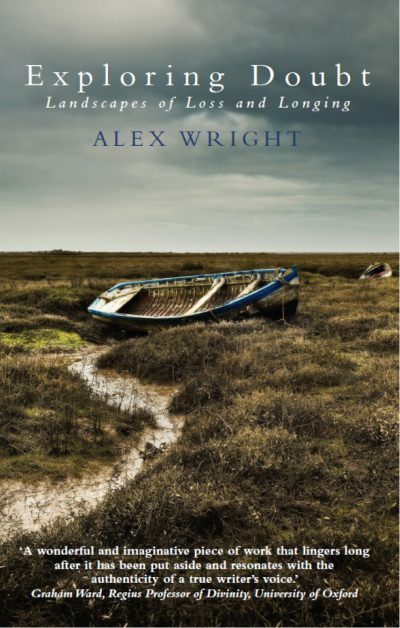 I’m not sure how successfully Wright’s book melds together its constituent generic elements; its form certainly owes more to the academic essay than narrative non-fiction. But it’s a welcome addition to a vibrant literary form which expresses the questioning, questing character of the other twenty-first century. Alex Wright’s Exploring Doubt is available on Hive.